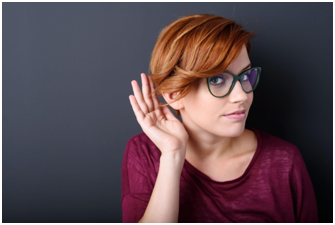 To have trouble hearing is a common ailment in the United States and around the world, but people often hold back on going to see a hearing specialist. They assume that their condition is not worth seeing a doctor, but in reality, there are many reasons to see an audiologist at Oklahoma Hearing Center’s OKHC clinics. Here, we will go over when and why you should seek treatment if you think you are having trouble with your hearing. Audiologists at the Oklahoma Hearing Center in Norman, OK, can treat a wide variety of causes for hearing problems. For example, children born with hearing issues, adults being treated for balance disorders and head trauma patients should all work with an audiology specialist to help treat the problem. Also, people who have a genetic history of diseases such as Meniere’s can learn how to move forward and those with irregular hearing tests can come up with a plan to function more normally again. There are several ways that seeing a doctor at Oklahoma Hearing Center’s OKHC clinics can improve your hearing and also improve your daily quality of life. For instance, you may be inclined to be more active once you can hear more clearly, which can advance your physical health. Sound stimulation from hearing aids has also been shown to slow down mental decline and being able to hear helps prevent miscommunications among loved ones, improving relationships. Seeing an audiologist rather than a primary care physician also has its benefits. While a primary care doctor can rule out other medical conditions that lead to hearing loss, you will need an audiologist to conduct a thorough evaluation and the audiologists at Oklahoma Hearing Center can help develop a treatment plan that fits your type of hearing problem, your life style and your budget. The Oklahoma Hearing Center in Norman, Oklahoma is here to help you improve your hearing and get you back to a more active lifestyle. By seeing one of our specialists, you have the chance to treat a variety of conditions and strengthen your health. Call for an appointment today! 405.364.2684, we are open Monday – Friday, 8:00am – 5:00pm. Are Over-the-Counter Hearing Aids Truly Beneficial?